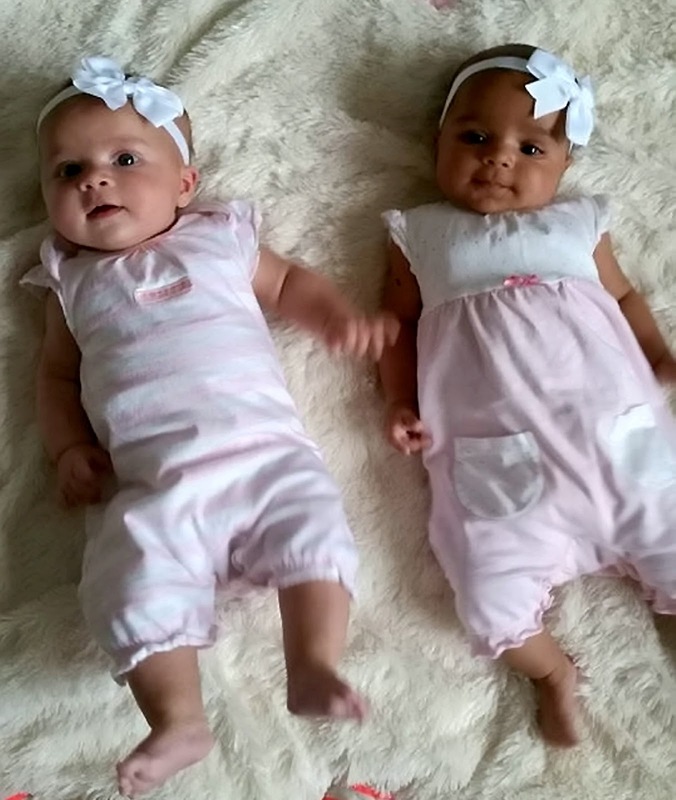 Hannah Yarker, 20, gave birth to twin girls who have different skin tones. One of the girl’s inherited her mum’s fair complexion, while the other took after her dad who is mixed race. Hannah says her black and white daughters now turn heads whenever she takes them out. She constantly has to explain that the 10 month old girls are hers and that they are in fact twins as it is a rare occurrence, said to have a million to one chance of happening. “At first, both the girls had a purple tone to their skin, but they looked darker so I assumed they’d both taken after Kyle. 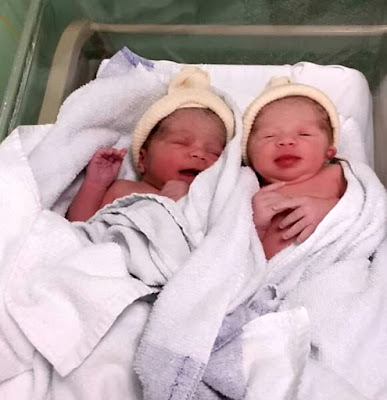 But after two weeks, it was clear Myla takes after her dad with dark skin, brown eyes and brunette locks, while Anaya is more of a mummy’s girl with a pale complexion, fair hair and light eyes. We couldn’t believe it. Kyle and I told all of our relatives and friends, ‘We’ve got one of each. Oh No! Wizkid Follows Linda Ikeji on Instagram & Posts more Insulting Photos.